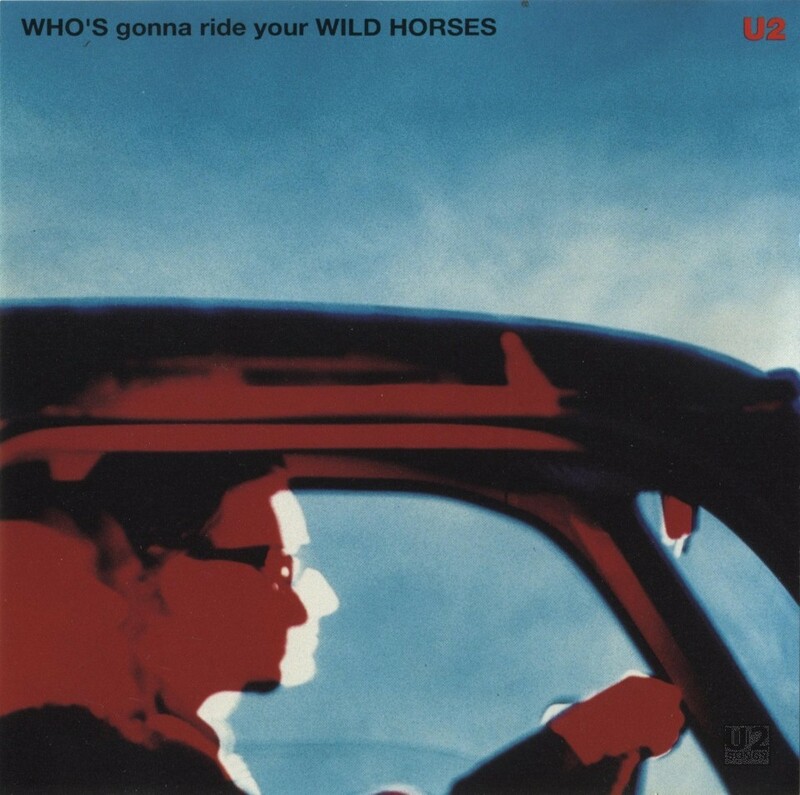 “Who’s Gonna Ride Your Wild Horses” was the fifth and final single released to promote “Achtung Baby”, and followed nearly a year after the album release. Sales were still strong for the album, and a thanksgiving special was being aired on television to promote the Zoo TV tour, and the “Achtung Baby” VHS and laser disc were about to be released. So one final single was released, this time with the versions released being a new mix from that on the album. In the USA, two 5-inch CDs were used for promotion at radio stations. The first contained both the album version of the song, as well as the remix of the song, labelled just as “Remix” on the release, although it is “The Temple Bar Remix” on other releases. The second 5-inch CD contained the “Radio Edit / Remix” which was “The Temple Bar Edit” on commercial releases. Both were issued in regular jewel cases. The two track version had a back insert, but no front cover. The one track version was issued with both a back insert and a front cover. There was also promotional copies used in Japan, but these were the same as the commercial version of the single with a promotional sticker covering the UPC area of the sleeve, and the word “Sample” in English and Japanese written in the clear centre area of the CD. A unique 7-inch promotional item was also produced in France containing “The Temple Bar Edit” and the b-side “Paint it Black”. This was produced for the European juke box market and versions exist with both a small centre hole and a large centre hole. These were issued in a generic white sleeve, and the label is molded into the vinyl rather than a paper label applied. No unique 12-inch vinyl pressings are identified, however, in the USA, some copies of the commercial 12-inch single were circulated with a stamp in gold listing the item as a promotional release. Words: Bono. Music: U2. Produced by U2 and Paul Barrett. Original recording produced by Steve Lillywhite, Daniel Lanois and Brian Eno. Engineered by Robbie Adams, Paul Barrett, and Ian Bryan. Assisted by Shanon Strong and Fiach Cooling. Edited by Stewart Whitmore. Piano: The Edge and Paul Barrett. Strings: Paul Barrett and the Edge. Moogorgan: Paul Barrett. Written by Mick Jagger and Keith Richards. Produced by Paul Barrett and U2. Mixed by Paul Barrett. Assisted by Ian Bryan. Keyboards by Paul Barrett. Written by John Fogerty. Produced by Paul Barrett and U2. Engineered by Paul Battett. Assisted by Ian Bryan. Backing vocals by Maria McKee. Words: Bono. Music: U2. Produced by U2 and Paul Barrett. Original recording produced by Steve Lillywhite, Daniel Lanois and Brian Eno. Engineered by Robbie Adams, Paul Barrett, and Ian Bryan. Assisted by Shanon Strong and Fiach Cooling. Piano: The Edge and Paul Barrett. Strings: Paul Barrett and the Edge. Moogorgan: Paul Barrett.